An important aspect of a good family budget planner is that it will allow you to easily stay organized. Rather than creating one from scratch, you can simply download a template here. To use the planner, simply track and enter in the information where it asked you to. You can download this template for free and customize it any way you like. If there’s anything you need to change, you can easily change it after you download it. 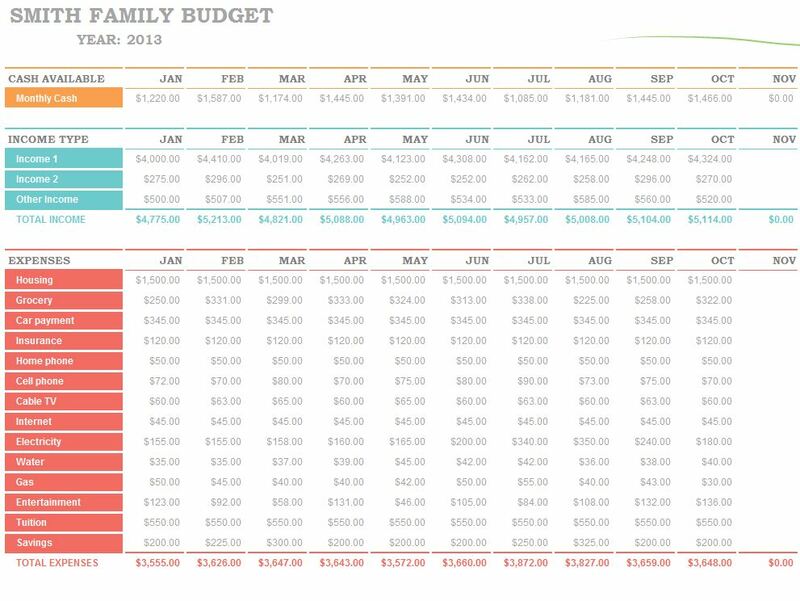 Using a template like this is the easiest way to make sure you stay organized when you are using a family budget planner. Using a family budget planner will allow you to see exactly where your money is going. You may not realize the amount of money that you’re spending on restaurants or fast food, for example. Tracking your spending and budgeting your money will allow you to see this firsthand. Once you see what your family is doing with your money, is easy to create budgets within each category of spending. You will often be surprised at how easy it is to save money by doing this. Being able to see where your money is going is an easy way to identify areas where you are spending too much. You can even find things that you are spending too much money on that you can cut out completely. A family budget planner will allow you to reallocate the money that you are wasting on unnecessary expenses and put it towards things that are more important or add to your savings over time. By understanding where your money is going and creating a budget for it, you will be able to have more control over her your money than ever before. You’ll be surprised how much money goes to waste. Once you have your cash flow written out in front of you, budgeting will be a piece of cake to manage going forward.